Exercise - Making time to exercise is another powerful means of improving your mental health regardless of age or gender. Just one hour a week of exercise has a positive impact on mood and wellbeing. Social Interactions - Being able to talk with friends and colleagues is another important aspect of wellbeing. As the old saying goes, “A problem shared is a problem halved”. Make the effort to connect with others and gain perspective with those that care about you. Do new things - Broaden your experience by doing things you have never tried before or take up new hobbies that interest you. Do things you have always wanted to do but never quite started whether that be photography, bush walking or gardening! Thank you again to all the readers who wrote in with thoughts, ideas and reflections…it is appreciated. Are there differences in the levels of mental health in collectivist versus individualistic societies? While I don’t have any empirical data on this, my sense is that it will be lower in collectivist societies simply because of a sense of community and support for the individual by the group. Conversely, in collectivist societies with a high degree of shame, it may add to the mix, but again the sense of societal support would be present. The growing number of therapists and counsellors in individualistic societies highlights that people are seeking help outside of their networks. Dr. Cheryl Rezek, a Clinical Psychologist with an established clinical and academic career, shares her vast experience in the mental health field with this comprehensive and detailed exploration of Mindfulness. 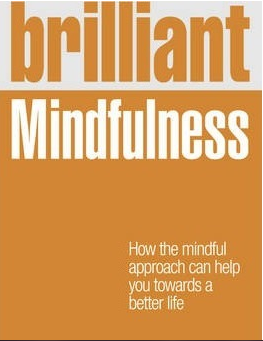 Brilliant Mindfulness is designed to introduce and familiarise the reader with the concepts and practices of mindfulness. It provides background and discusses the evolution of Mindfulness and also gives practical information on the benefits and progress that can be made through the use of mindfulness as an ongoing practice. It is easy to read and encourages taking small consistent steps toward changing your thoughts and increasing wellbeing, stability and resilience.